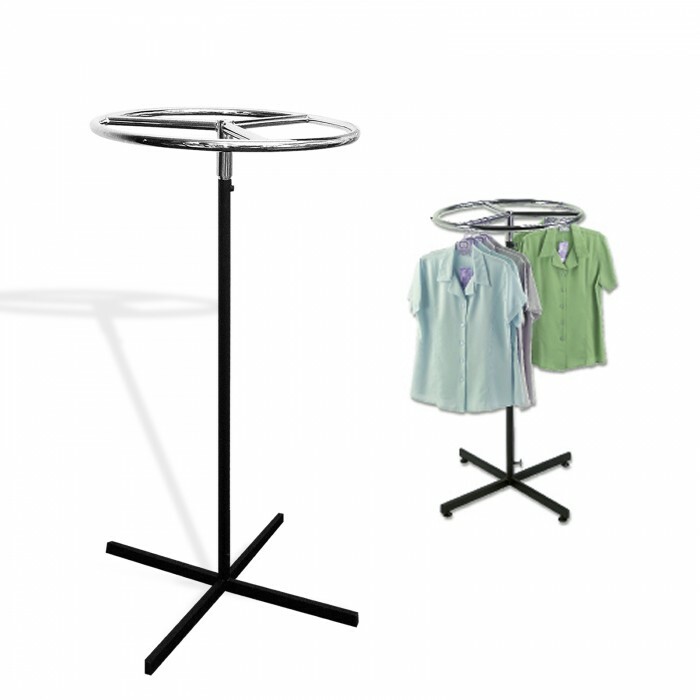 This Circular Clothes Garment Hanging Display Rail is 30 inches in diameter with a chrome hard wearing top rail. It has a chrome and black adjustable stem with a strong black four way base for extra stability. It is supplied with adjustable glider feet allowing for balanced display on uneven surfaces. The circular top includes a centre threaded hole that can be used in conjunction with our screw in ticket holder for signs.